We “3A Exports” are an Indian based Import & Export Company offering diversified range of products under three vertical divisions. All our products are known for optimum quality, service & reliability. Our 3 different verticals are Chemicals, Industrial & IT. Under Chemical Div. : we are offering specialty chemicals developed for sectors like Oil Field, Marine, Industrial, Sugar Processing, Water treatment and other related industries. 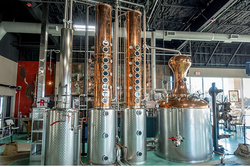 Viscosity reducers are highly effective chemicals that acts as a viscosity reducer ofr cane sugar syrups. It finds various application with various chemicals cheracteristics. It is highly effective polyacrylate based viscosity reducer chemical that is formulated to reduce viscosity of surgar syrup during pan and massecuite. It is an effective formulation of polyacrylate polymer which highly increases sugar manufacturing efficiency by better lubrication purging, better circulation of pans, increases centrifugal efficiency, less boiling time, reduced content of ash. While the acid cleaning process in the pipe line in sugar indutry, usage of the Hydrochloric acid is much frequent. 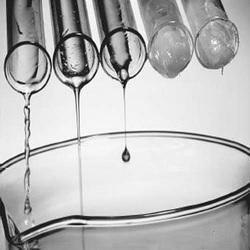 Acids are generally used in for cleaning in pipe line to stimulate the liquid flow from the pipe and to remove incrustations. Acids , preferentially, hydrochloricn acid is are forced under high pressure through the hole into the rock formation to produce fracture around the hole. About 10 -15 % of hydrochloric acid is generally used for producing fracture. When the deposit is calcareous. 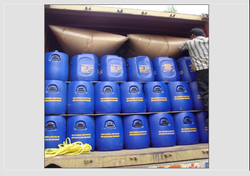 Acid corrosion inhibitor formulated by 3A Exports is an acid corrosion inhibitor which is stable upto 120ºC. It is also used in various other industries where corrsion occures in pipe line such as Oil Field and other related industries. system, chillers etc industrial process systems. known for its effectiveness on the microbes. Store the product in a cool and dry place away from direct sunlight. The product is available in 25 to 200 kg HDPE carboys. about this product (available on request). 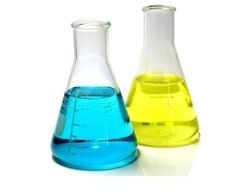 range and can be used along with other water treatment chemicals. are known for its effectiveness on the microbes. • effectively controls algae formation. • prevents development of bad fouling odor. • inhibits hazardous bacterial growth. • improves cooling tower capacity, cooling capacity. the product is available in 50 to 200 kg hdpe carboys. All types of Sugar Industry Chemicals widely used worldwide. Specially formulated for Sugar Industry customer. All Types of Sugar Processing Chemicals used in Sugar Industry. 3am-aspan is a polyacrylate, which unlike polyphosphates has an excellent hydrolytic stability. product as per customer’s required specifications are also available. multiple effect evaporators: 4-6 ppm added to the clarified juice tank. juice heat exchangers: 2-3 ppm added to the main feeding tubes. pans: a dosage of 4-5ppm based on weight of the massecuite. or it can be fed in to the system as discussed and decided as per technical requirement. 1. High performance scale inhibition in sugar evaporators. 2. Wide range of activity on calcium oxalate, calcium sulphate and calcium carbonate scales.